Equipped with power of Android ICE Cream Sandwich OS with the speed of Verizon’s LTE network The Samsung Galaxy Nexus provides a great leisure and utility of using a state-of-the art Smart Phone. Samsung Galaxy Nexus, Verizon’s ace-in-the hole 4G LTE smartphone with Google’s Android 4.0 operating system. 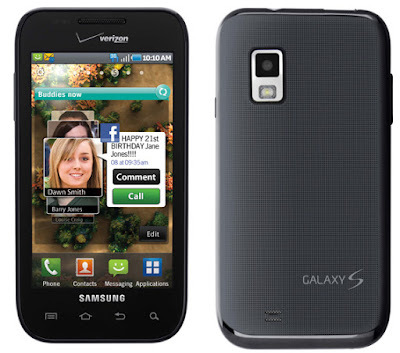 The Verizon version of the Galaxy Nexus is lighter than other versions of the smart phone. The Verzon version of Galaxy Nexus operates on 4G LTE network. Its thickness is 0.37 inches. It weights 5 ounces. With 32GB of internal storage has 1,850mAh battery. It has a few Verizon application already pre-installed. It comes in dark color with tapered edges and is in contour shape. The handset is 5.33 inches long and 2.67 inches wide. It weighs 5.1 ounces. The display of the interface measures around 4.65 inches. The phone provides a 1,280x720-pixel Super AMOLED resolution. The HD display is wonderfully bright and presents variety of scintillating colors. The main menu has the traditional icons, and internal menus have the list structure. This is a clean, elegant design rightly equipped for the texting and e-mail apps, and can be extended as an attachment audio, video and photos. It has an exact Android interface. With the help of the device the brightness, backlight time and font size can be changed. Its virtual keyboard can converted into the entire width of the phone whether you use the phone in portrait or landscape mode. The primary screen has three rows of alphabetic keys with main punctuation just above. The main camera of the provides a 5-megapixel resolution, but there are also provided 3 megapixels, 1.3 megapixels, QVGA, and VGA mode with the camera. There's also a front-facing 1.3-megapixel camera for photos and video calls. The camcorder shoots clips are given in three different resolutions like 1080p HD, 720p HD, and 480p. Videos are mixed offer for the users. HD clips are crisp and bright however in quick motions they become blurry. The phone also has an integrated Movie Studio app for creating your own video projects.